Tripshare Falkirk is a free, easy to use website which makes it easy to find people to car share with. All you have to do is register your details then add your journey to find drivers and passengers to share with. When you have found a suitable match from the results, you can contact other members using the internal messaging system. You don't even need a car. Many people are happy to offer lifts in exchange for sharing the fuel costs. You can register as a 'passenger only’ if you don’t have a car. 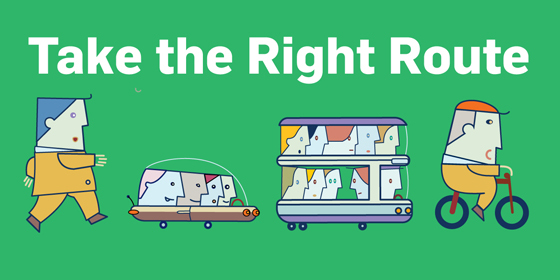 Car sharing directly reduces the number of single occupancy vehicles on the road every day. This mean there are fewer cars on the road, with less queues of traffic meaning quicker journeys. Fewer cars also mean more parking spaces, cutting down the time it takes to find a space. By sharing a car journey, you are also reducing the environmental impacts of driving. Two people sharing a car cuts the CO2 emissions in half - and the more you share, the more you save! Save money by sharing your travel costs. The financial savings made by halving (or more) the cost of a commute is one of the biggest incentives to car share. In 2016, 50% of members who answered said saving money was very important when deciding to car share. Tripshare Falkirk members who car share every day saves on average £947 per year! Find out how much you can save with the Liftshare Savings Calculator. Car sharing has benefits on your mental wellness, including the reduction of stress sitting in traffic alone and having someone to speak with about the day on the journey home. As well as having a chat on an otherwise lonely journey to work, car sharers have also expressed that they have been able to vent their issues to someone less emotionally involved, arriving at home a happier individual. 44% of members said that car sharing made their journey less stressful, and 52% said it made their journey more fun.